This is a testament from an old neighbor of mine: “You are the New American Modern Housewife… and that’s a GOOD THING! 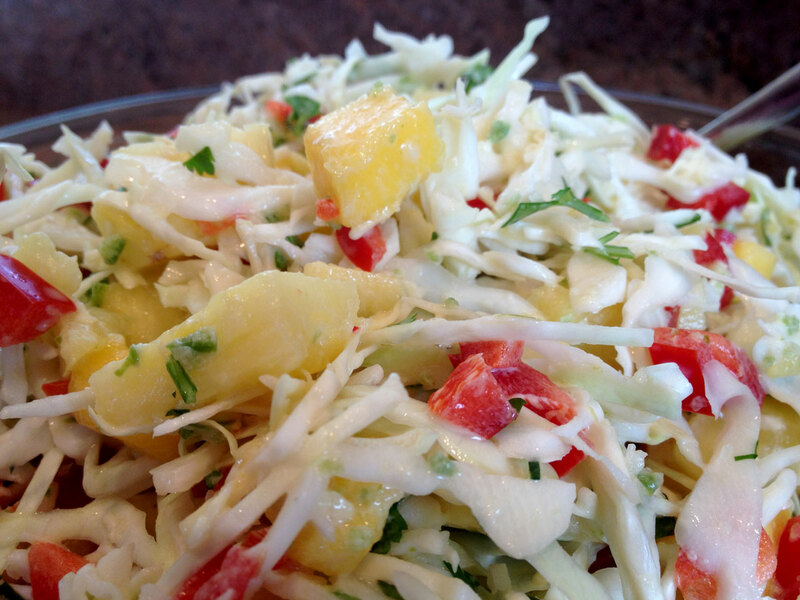 I’ve been making your FABULOUS ‘Crowd Pleasing Slaw’ since 1996!! I remember you running across the street and handing me a bowl of THE BEST cabbage salad I’ve ever tasted. I can't tell you how many people/functions/parties I've made it for and they all go crazy! I still have the 3" x 5" orange card you wrote it on! OXOXO Vikki”. 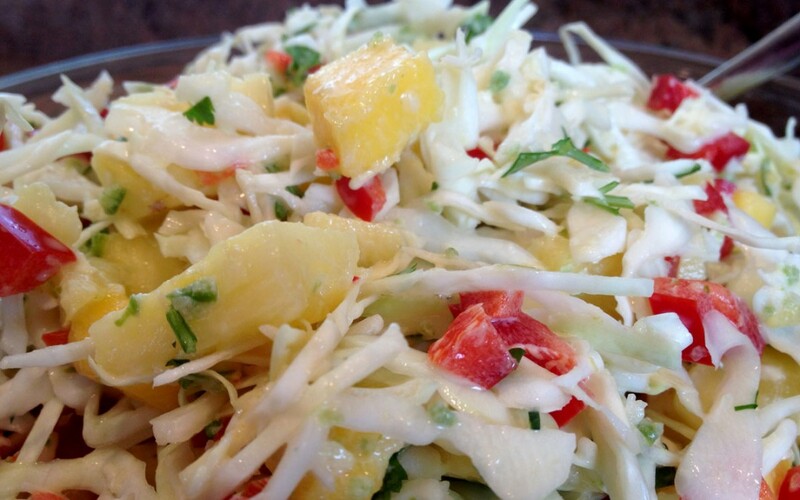 In a large bowl, toss together cabbage, 3 cups of the pineapple, mango, red bell pepper and cilantro. Set aside. Make dressing. Add to food processor: ¼ cup pineapple, jalapeño, lime zest, lime juice, sugar and salt. Pulse until pineapple and jalapeno are finely chopped. Add mayonnaise and pulse to blend. Stir into slaw, blending well. Refrigerate for 30 minutes for flavors to blend. Stir well and serve. 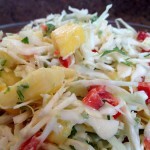 This slaw in an excellent side for grilled meats, pulled pork and my ‘Baked Corned Beef with a Kick’.